Any industry can be made better by introducing new and diverse perspectives and insights. Thankfully, just a few weeks ago, Utah passed a bill declaring March 20th Girls in Technology Day, an initiative to help bridge the gender gap in STEM fields and in the technology sector. To celebrate, and in response to Women Tech Council's #UTgirlsintech challenge, we've decided to interview a few of the women who work here at Control4 leading technology development or supporting our business in technical roles. This blog series will be informative for anyone who might be interested in pursuing a career in technology, but we sincerely hope to remind women of all ages that no industry or field of study should be considered beyond reach. We hope that by featuring just a few of the women who are making an impact here at Control4, that we will inspire other women and girls to pursue their interests, turn passions into careers, and invest in themselves—just like Tara did. 1. How and when did you decide to pursue a career in technology? When I was a little girl, I always knew I wanted to grow up and have a professional career. My mom promoted my participation in an organization called 4-H that helps kids learn skills that they need to be successful in life. Though they offered a STEM curriculum, she focused our 4-H classes on cooking, sewing, agriculture, and all the things we needed to know to be successful mothers and homemakers. My dad, on the other hand, always pushed my sisters and me to do well in school, work hard, and pursue careers that would help us be independent. He was always teaching us essential life skills like how to change a tire on a car by ourselves. During 4-H, he would teach us about electricity and how it works. Together we built a telegraph set with morse code, a small wire-wound motor, and a lamp. Those classes sparked an idea for me to study electrical engineering in college. 2. What kind of formal education do you have and how does it relate to your work today? I have a Bachelor of Science in Electrical Engineering from the University of Utah. While I was in college I worked full time, went to school full time, and had two of my children, so I didn’t have a lot of time for extracurricular activities. When I was getting ready to graduate, the best way to get introduced to companies that were hiring was to go to the engineering job fairs and speak with all of the different companies that were looking for entry-level candidates. I had an internship at L-3 where I was able to learn about different types of applications for engineering and was mentored by one of the engineers there, but I received a better offer from another company that designed and built enterprise routers and switches. I was able to start a career in the electronics industry the spring before I finished school. At that company, I was part of the design team working on the circuit boards that routed all of the data through copper traces on huge backplanes at the rear of the chassis. 3. Outside of formal education, what have you done to hone your professional skills and knowledge? Did you take courses, participate in programs/organizations, or practice independently? I’ve always been a reader, so over the years and throughout my career I’ve read a lot of books about the role I’m in and the technologies I work with. I became a certified Agile Scrum Master to help manage software projects better. I became a certified Salesforce Admin to understand our CRM platform. And I’ve attended numerous conferences to get an in-depth look at an application or process or a broad overview of technologies. 4. What other types of job roles have you had prior to Control4? How long have you been working in the technology sector? I graduated from the University of Utah in 2001 and have been in the technology sector ever since. While I was in hardware design, the first job I mentioned in question #2, I primarily focused on circuit design. I designed circuits using a schematic capture tool and worked with mechanical engineers to apply those circuits to a circuit board that could be built and tested. I also did a little computer programming in hardware description languages called VHDL and Verilog that could be used to customize the functions of computer chips called FPGAs. I applied the skills while working at the enterprise networking company as well as a company that built medical lasers for glaucoma treatments. After working in design for a few years, I decided to change my career path and went into sales. I sold semiconductors (computer chips) for companies like Texas Instruments, Micron, and other manufacturers to electrical engineers throughout Utah. Any company designing and building electronic products in Utah was a customer of mine. Control4 was one of my favorite customers! I loved working with the engineering team and the technologies they were developing were so fascinating. In my sales position, I met with electrical engineers to understand what they were trying to design and provide them with products that they could use in their circuit designs. I would provide them with technical documentation, product samples they could use in their prototypes, and technical support when it was needed. I also worked with the buyers at those same companies to negotiate pricing and ensure that the supply was available to their contract manufacturers when they were ready to start building products en masse. Seven years later, I again decided to change my career path. Control4 hired me as a hardware program manager working to define the steps, processes, and cross-functional coordination required to design and build a product from conception to mass production. As a program manager, I coordinated the efforts of hardware engineering, software engineering, QA, manufacturing test and engineering, and supply chain and defined timing required to meet a target production date. At the release level, I worked to coordinate the timing of the release, training of tech support and sales, and marketing announcements. My degree and experience in electrical engineering gave me the background I needed to understand the technologies we were developing. My sales career taught me the ability to interface with people and manage a lot of tasks simultaneously. For six years I grew from managing hardware projects to managing hardware and software projects and then managing full product and software releases for the company while leading a team of program and release managers. Those have been some of the most fun and exciting times in my career—knowing that I coordinated the efforts of so many people to bring cool products to the market! And then I decided I was ready for a new challenge again. I love working for Control4 and looked for other opportunities within the company. Today, as the Director of IT Business Systems, I manage the IT Business Systems and Data Services teams at Control4. My teams manage, develop, and support business-critical applications such as our ERP and CRM systems. My team captures financial, operational, and business-critical data and provides the Control4 organization with the business intelligence it needs to make decisions and understand areas for improvement and growth. Not only do I work closely with other teams within IT such as Networking Infrastructure, Service Desk, Cloud Operations, and Cloud Services, but I work with all of the departments in the organization. It’s great to have involvement and insight into how the Marketing and Sales departments increase our sales and customer base. I also get to work with Operations and Finance to see the entire order to cash flow from the time someone buys our products online, how it is manufactured and shipped to our customers, and how we process payments. I’m part of the team providing solutions for helping our customers get technical support and send in returns for repair or replacement. The internal applications and solutions we provide to all of these departments and the data and business intelligence we deliver keep us at the forefront of driving change and growth at Control4. Did you know that Control4 is hiring? 5. Do you have a favorite book, podcast, or blog that you would recommend for other women looking for professional insights? Usually, I’m reading about technologies and roles. I remember several years ago reading a book called “Climbing the Corporate Ladder in High Heels” by Kathleen Archambeau that resonated with how I wanted to interact with others as a woman in the corporate world. Another book that I think could help anyone to learn better communication and collaboration with others and learn how to be a good leader is the “The Five Dysfunctions of a Team” by Patrick Lencioni. 6. Do you have any advice for young women looking to pursue careers in technology or for experienced professional women looking to break into the technology field? Don’t be intimidated! I feel like so many women are scared to be in technology because they don’t understand it or that they don’t feel like they have a place in it. Figure out what characteristics are your strengths and build on them by finding a place in technology that suits you. Start in project management, business intelligence, marketing, system administration (Salesforce Admin online training and certification at trailhead.salesforce.com)—whatever suits your skills and interests. Look for companies that have technologies that interest you and apply for a job that suits your current skill set. You will be able to build on that and move towards your ultimate career goal as you gain knowledge and experience with those technologies. Or jump in head first by learning to code (girlswhocode.com) or building simple circuits with Snap Circuits. Look for a woman who is a family relative, friend, or neighbor that is already working in technology and ask them to help you find a place to start. Women always want to help other girls or women break into the STEM field if that’s where they want to go. 7. Last, but not least, what is your favorite part about working in the tech industry? My favorite part about working in the tech industry is seeing the amazing products that companies develop and how they transform people’s lives. 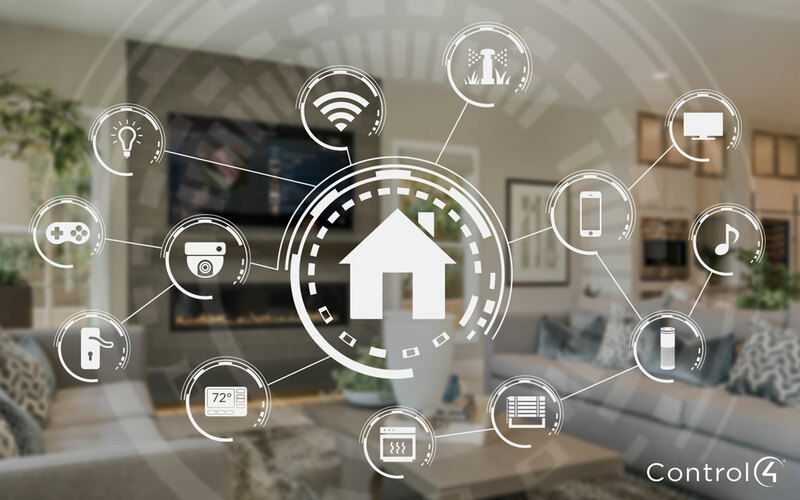 Products like the iPhone completely changed the world and the Control4 Smart Home OS makes using new home technologies simpler and gives homeowners next-level control over their homes. There are so many cool products, software applications, and services that have improved the quality of life for people around the globe. Knowing that I’m part of that creation and transformation makes me feel like I’m part of something great. I’m a contributor to the digital transformation of the world. 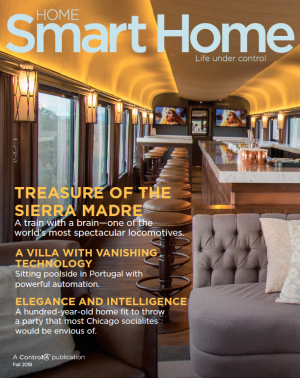 To learn more about Control4 Smart Homes, click here.